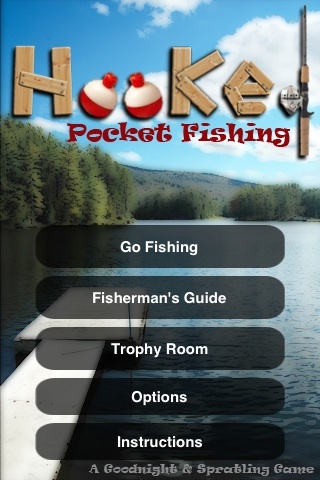 Hooked: Pocket Fishing is the first completely interactive fishing experience for the iPhone and iPod Touch. 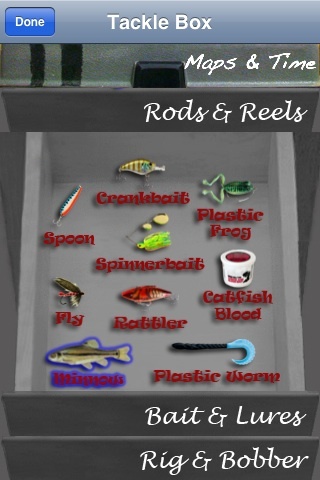 Hooked: Pocket Fishing simulates casting, reeling, setting the line, changing your reel rate to compensate for the fish's behavior, and managing your equipment for the best chances at catching a fish. (Check out the web site for a short demo video). The app uses on-screen controls, the accelerometer, and gives visual, sound, & vibration feedback. 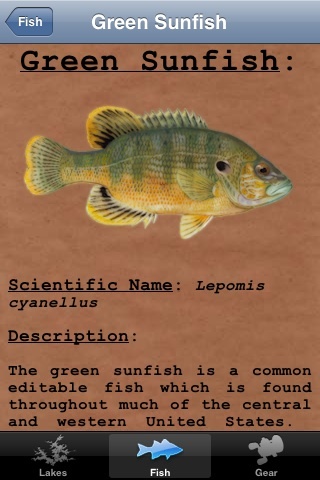 It includes a fisherman's guide that provides information about the three included lakes, more than twenty species of fish (including some surprise fun objects like baseball caps), nine popular baits, rods, reels, rigs, and a bobber. • Use of on-screen reeling, animation, accelerometer, vibration feedback & sound. • Accurate representation of fish behavior in response to location, bait & gear. 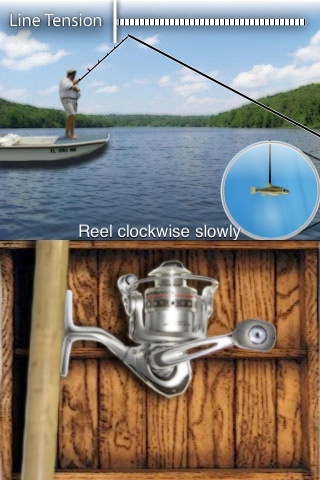 • An underwater magnifying glass shows you what's happening on your line. • Extensive and accurate fisherman's guide. 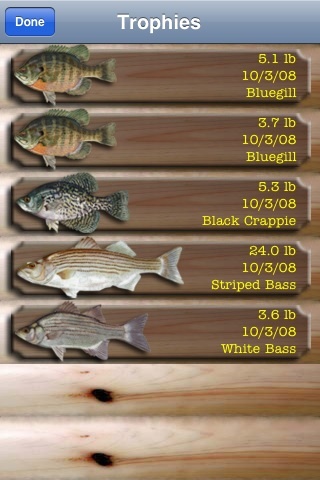 • A trophy room keeps track of the weightiest of each species caught. • Instructions with pictures describing gameplay. Developers & Apple are not responsible for iPhone or iPod Touches being thrown, dropped in the water, or the cost of counseling following addiction to pocket fishing. Enjoy.